Shade is a young silverwing bat, the runt of his colony. But he’s determined to prove himself on the long, dangerous winter migration to Hibernaculum, millions of wingbeats to the south. During a fierce storm, he loses the others and soon faces the most incredible journey of his young life. 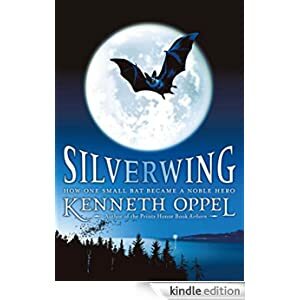 Desperately searching for a way to rejoin his flock, Shade meets a remarkable cast of characters: Marina, a Brightwing bat with a strange metal band on her leg; Zephyr, a mystical albino bat with an unusual gift; and Goth, a gigantic carnivorous vampire bat. But which ones are friends and which ones are enemies? This book is for readers in grades 4-6 and is selling today for only 99 cents.